Born into an aristocratic family, Percy Bysshe Shelley has no intentions of following in his father’s political footsteps. The rebellious young poet finds himself drawn to more scandalous pursuits: supporting anti-royalist and anti-clerical causes, championing vegetarianism, and extolling the virtues of atheism, an act that ultimately leads to his expulsion from Oxford University. 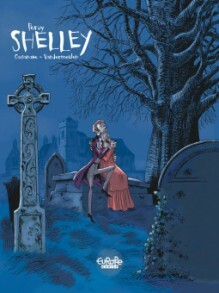 Book 1 of "Shelley" lets us dive into Percy’s tumultuous childhood, giving us an insight into his friendships with some of the finest progressive thinkers of the times, not to mention his blossoming relationship with his future wife and author of "Frankenstein," Mary.